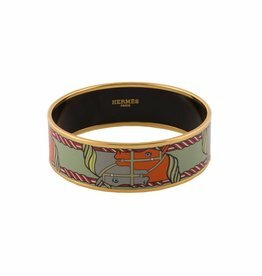 Hermès Orange "Rubans" Wide Enamel Bangle. 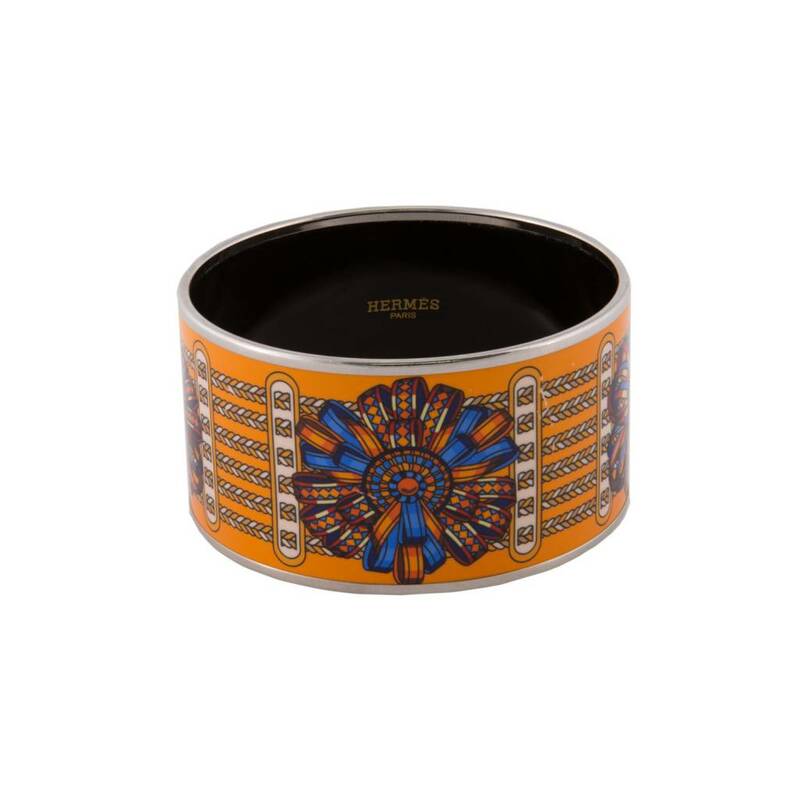 High polished enamel. "Rubans" print throughout. Black interior. Palladium plated. P stamped (2012). Made in France. Comes as is. CONTENT: Plated brass and enamel. CONDITION: Pre-owned, in very good condition. The metal and enamel shows very light sign of wear. Please refer to pictures. Please inquire for additional information.